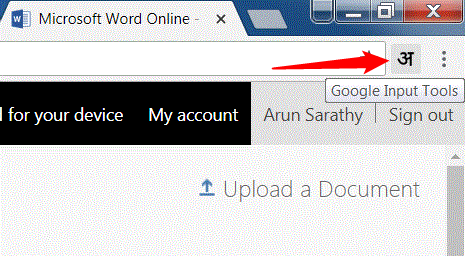 Now that Google input tools for Windows is gone, how do we type in Indic languages in a Word document? Fortunately, there is a workaround! We use the Google Input Tools for Chrome extension to do that! Once done, we can now use the Google Input Tools extension within Chrome (install from here). All you have to do is to simply activate the extension, and type the Indic word in English and the words pop up on the screen. You can even assign keyboard shortcuts to switch between English and other Indic languages. 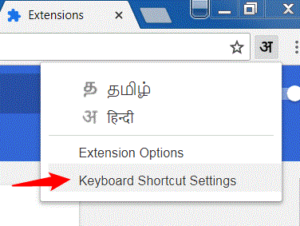 Click on the extension, and click on ‘Keyboard Shortcut Settings’ to map your shortcuts. 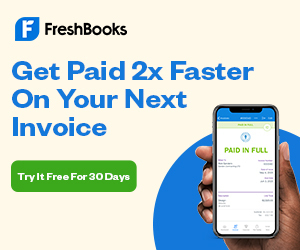 In case you see jumbled and funny characters like the ones above, simply select the text and change to any font (preferably to the Indian Language font that you are familiar with). 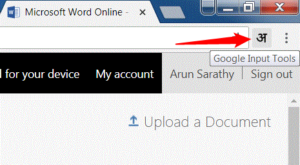 Hope you now got an idea of how to make use of the Google input tools to continue writing in Indian languages within Word documents!